At Poulsbo Animal Clinic, we know how important your pet’s health is to you. We provide thorough preventive care for dogs, cats, and pocket pets of all ages. Regular preventive care allows us to gain a complete picture of your pet’s health and keep him or her healthy and happy. Our clinic also provides fish medicine for a variety of species. To learn more about the fish medicine services offered by Poulsbo Animal Clinic, please view this video. Regular physical exams are an important part of your pet’s overall health and wellness. These exams help us monitor changes over time and detect illness early. Depending on the age of your animal companion, we recommend different preventive treatments for cats and dogs. 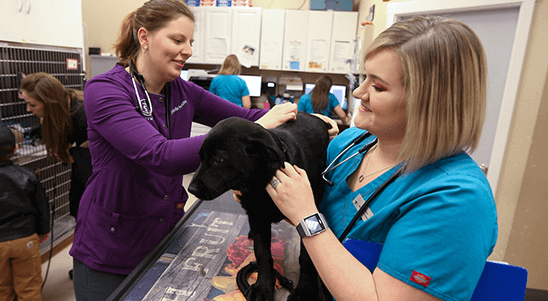 For all pets, we individualize exams depending on the age and lifestyle of your pet, allowing us to provide your pet with the high-quality care he or she deserves. Vaccines protect your pet against dangerous illnesses and diseases. At Poulsbo Animal Clinic, we discuss core and optional vaccinations with you during each preventive exam. Our recommendations are customized to your pet’s age, lifestyle, and health status. Common pests, such as fleas, ticks, and intestinal parasites can put your pet at risk for serious illness. To protect your pet against these illnesses, we offer individualized parasite protection programs that are based on the specific needs of your pet, as well as his or her home environment. Some of these parasites are zoonotic (can be transmitted to people) and dangerous. We follow the recommendations of the Companion Animal Parasite Council.